French professional tennis player who is known for appearing in the men's singles in the ATP. He is most recognized for his Right-handed (two-handed backhand) plays. With a passion for the sport early on, he earned recognition when he received a wild card for the 2013 French Open where he made his first appearance in the Grand Slam event. 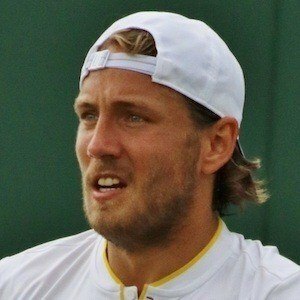 He has won several ATP tournaments including the Moselle Open in 2016 and the Hungarian Open in April of 2017. He was born and raised in Grande-Synthe, France. His mother was a Swedish-speaking Finn. He has competed against Philipp Kohlschreiber, Feliciano Lopez, and Rafael Nadal.